What in the world is Dan Shaughnessy talking about? I had to read the paragraph again. And then a third time. Hold on a second. I’ve got to go back and read that column one more time to make sure he really wrote that. The Steelers were incredibly lucky when they beat the Raiders with the “Immaculate Reception.” The Giants were incredibly lucky when David Tyree caught the ball with his helmet. The 2004 Red Sox were also pretty lucky when Tony Clark’s shot to right field skipped over the short fence for a ground-rule double in the ninth inning of Game 5 of the 2004 ALCS. Claiming a World Series title is lucky, though, makes no sense. The fact that each team plays 162 games in a baseball season guarantees that a team does not get to the playoffs on luck. 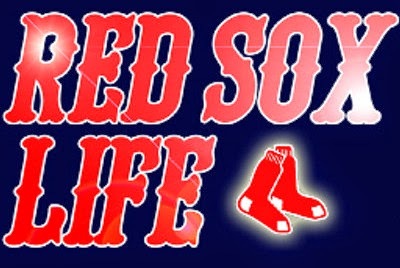 The 2013 Red Sox won 97 games in the regular season to win the American League East and secure home-field advantage throughout the playoffs. They probably got lucky in a couple of those games, but luck has a way of balancing out over the course of 162 games. Granted, they got kind of lucky when the Rays forgot how to play defense a few times in the first round of the playoffs, but the Red Sox beat the Justin Verlander and the Tigers in a great series before overcoming some bad luck — and some bad throws to third base — to beat the Cardinals in another great series. Somewhat inadvertent? I have no idea what that could mean. Yes, after the 2011 Chicken, Beer and Video Game Red Sox and the 2012 Bobby Valentine mess, the Red Sox contending for a playoff spot, let alone winning the whole thing was considerably unexpected and highly improbable. Never would I dream, however, that somebody would call it inadvertent. A referee accidentally blowing his whistle in a game could be considered inadvertent. Winning the World Series is something every team strives for every time it reports to spring training. Especially a team with Dustin Pedroia at second base. Of course, the Red Sox were fortunate that all of Ben Cherington’s moves following the 2012 season turned out to be great ones, starting with the firing of Valentine. But the reason he made those moves in the first place was because he was trying to win the World Series. Shaughnessy mentioned those lucky and inadvertent Sox because he is worried about the 2015 Sox, who can’t even inadvertently pick up a two-out RBI. We are all concerned about the 2015 Red Sox now that they have fallen to 12-12. They are 3-7 on in their last 10 games, and the team has surrendered nine more runs than their supposedly vaunted offense has scored. Yes, as Shaughnessy suggested, it might be silly that many Sox fans are trying to find a silver lining in the fact that Wade Miley wasn’t completely awful again Saturday — though that hanger he threw to Brett Gardner dreadful. Right now the Red Sox don’t seem like they are even as good as their 12-12 record indicates, but fortunately there is a lot of baseball left to be played. By my math the Red Sox have 138 games left to play in 2015, so there’s plenty of time for the team to start getting lucky.